I was a strange child — in so many, many ways — but in part because vegetables were one of my favorite things to eat. I distinctly remember my friends shooting glaring looks my way as I helped myself to seconds on steamed broccoli, or ravenously chowed down on huge bowls of salad. One of my very fondest childhood memories is of my mother picking me up from baseball practice each week and taking me out for spanakopita (or spinach pie, as I called it then). My interest in baseball faded, but my love of spinach never did. I owe my love of veggies to the fact that my parents, for the most part, knew how to cook them. They weren’t great chefs by any means, but the vegetables in my house were always prepared simply, and were cooked fresh, rather than dumped from a can. 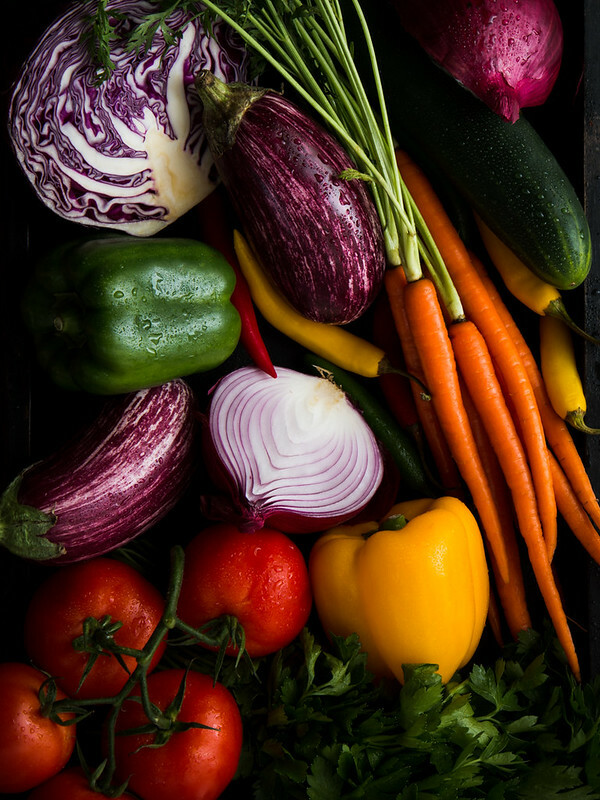 The thing is, as I got older and started cooking for myself, my veggie knowledge didn’t budge. For the longest time, my crisper drawer would see the same few vegetables over and over, and over and over again I’d prepare them the same way I always had — steamed, sauteed, or, more often than not, noshed on au natural. 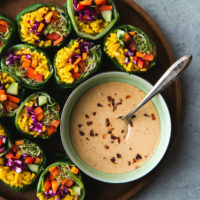 It took me a long time to break out of that routine and start using vegetables in more creative ways… but making that change played a key roll in my culinary journey. Before, I never would have known that beets could taste like candy, or pureed peas could be anything but babyfood (spoiler alert, they can, and they are so, so good). Those, “I didn’t know this could taste so good” moments are part of what made me fall in love with cooking in the first place. The only thing better than seeing someone enjoy your food, is changing their minds about an ingredient they didn’t even think they liked. It’s moments like those that make me excited to share new ideas and recipes. 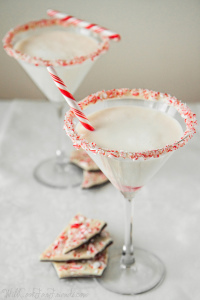 Which brings me to some recipe related news that I am SO excited to share! 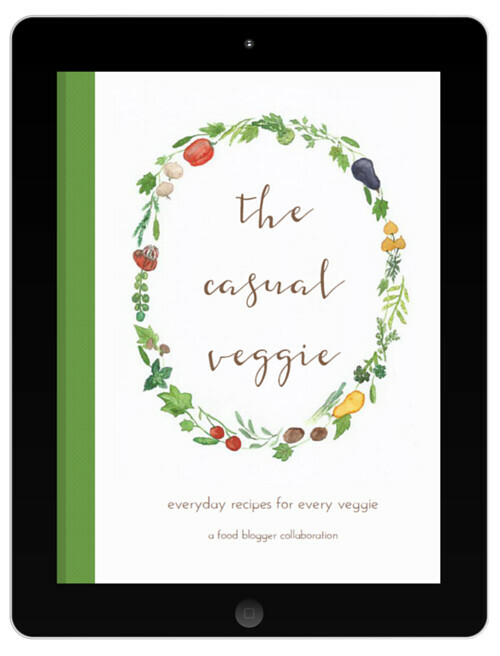 I’m going to be featured in a new, soon-to-be-released e-cookbook, called The Casual Veggie! Whew, I’ve been wanting to say those words for a while now. 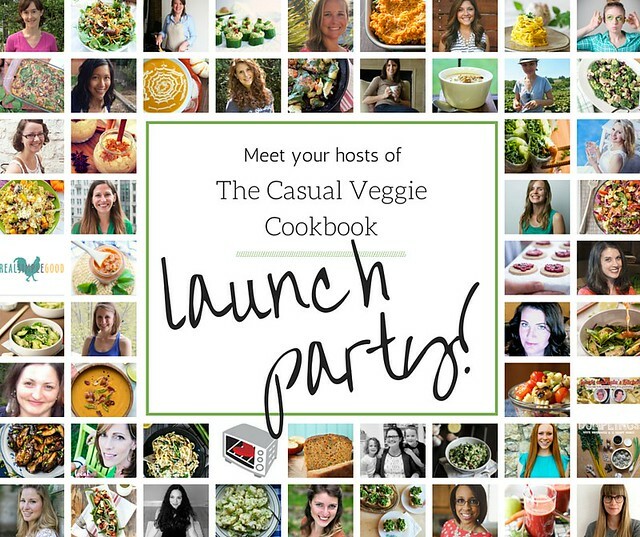 The Casual Veggie is a collaboration of more than 45 bloggers, coming together to share some of our favorite veggie based recipes and “I didn’t know that could taste so good” moments. It has been so hard to keep this project under wraps — I was reading over a proof the other day, and you guys, I couldn’t be more thrilled. I wish I’d had a book like this when I was learning to cook! The digital format is super sleek and easy to navigate, too, and is perfect for viewing on your tablet, smartphone, or any other device. But fear not, the recipes are also printer-friendly, so if you prefer to take your recipe into the kitchen with you and don’t want to spill all over your laptop (guilty), it’s got you covered. The release date is October 19th (only a couple short weeks from now, and just in time to save your waistband from the holidays), and when the book goes live, a bunch of us contributors are going to be hosting a launch party on our sites… and you’re invited! 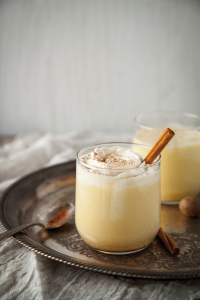 Many of us will be sharing fall-themed food and drink recipes to celebrate, and of course, the book will be available for download, which means lots and lots of recipes at your fingertips. UPDATE: you can now download a copy of The Casual Veggie by clicking here — a percentage of all proceeds sold through this page go towards supporting this site. So basically, if you buy a copy of the book, you’ll be putting food on my table and on the blog. THANK YOU! In the meantime, let me leave you by introducing some of the other bloggers featured in the book. 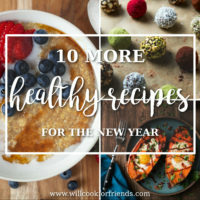 Many of these ladies have a focus on healthy living, and some of them are even dietitians, nutritionists, or trainers… regardless of all that, they all know how to make some seriously awesome eats, and I recommend getting to know them via the links below! 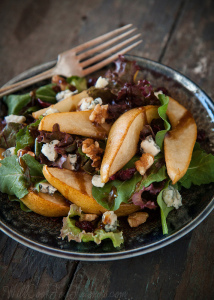 Grace, of A Southern Grace | Healthy eating, meets southern comfort. Kari, of Cooking Up Clean | She has some super creative clean eating recipes, which I’ve already added to my to-make list. Kathryn, of Family Food on the Table | Kathryn is a nutrition editor making healthy and simple family friendly recipes. If you’re wanting to introduce your kids to healthier eating, she’s got you covered. Elaine, at Family For Health | Elaine’s slogan is “eat, move, be… together.” Her site is all about getting healthy as a family, which so refreshing to see. Nicole, from Fitful Focus | As the name of her blog suggests, Nicole is big on fitness and clean eating. It’s hard not to be inspired reading her site! Elysia, of Haute and Healthy Living | Want some fashion with your flavor? Elysia’s your girl! 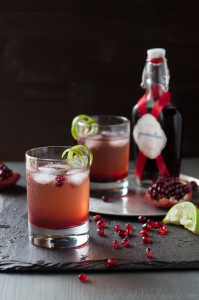 Kate, of Hola Jalapeno | Simple, fresh, and drop-dead-gorgeous Latin inspired cooking. Need I say more? Leigh, from Jeanie and Lulu’s Kitchen | Leigh’s blog is an ode to her two grandmothers, and all the joy and knowledge passed down in their cooking. I didn’t have a chance to know my own grandparents, but I feel like reading Leigh’s site almond makes up for that. Allie, at the blog Key Ingredients | Allie blogs about more than just food, writing about the key ingredients in her own life: food, exercise, and her (growing!) family. 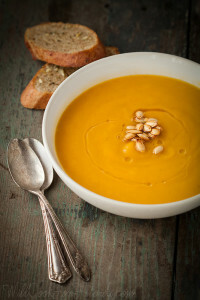 Mollie, of Parsley and Pumpkins | Mollie is the mastermind behind this cookbook, and has pulled the brunt of the weight in making it happen. Without Mollie, there would be no Casual Veggie! 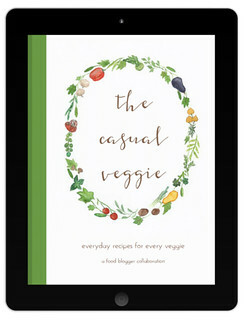 Besides creating this amazing book, she also runs a fantastic site chock full of veggie cooking tips and inspiration. Jean, at Primal Health with Jean | Jean’s motto is, “the food you love should love you back.” I couldn’t agree more! Liz, of Pumpkin and Peanut Butter | Liz’s style is all about balance, combining healthy plant-based recipes with her love of sweet treats (and of course, peanut butter!) — basically, she’s my kind of people! Justin and Erica, at Real Simple Good | Justin and Erica have a passion for paleo, and their recipes make it easy to see why. Rachel, of Stupid Good | the name of her blog says it all: So. Stupid. Good. Rachel, at The Delicious Balance | Life is all about balance. But also, food. Tasty, tasty food. Deana, from The Weekly Menu | Gluten-free meal planning, made easy. Brie, at Toaster Oven Love | Brie makes small batch recipes that are perfect for two — also, her name is Brie, which in my book, gives her instant foodie cred. Tara, at Treble in the Kitchen | I’ve only been following Tara’s blog for a little while, but I’m already feeling pumped up by her energy and enthusiasm for healthy eats and fitness goals! Christine, of Vermilion Roots | If you’re wanting to fall in love with vegetables, I highly recommend heading to Christine’s site and reading her story of volunteering at a family run farm in California — it will make even the blackest of thumbs long for a vegetable garden. Adina, from Where is my Spoon? | If I ever visit Germany, I hope to have the chance to share a meal with Adina. 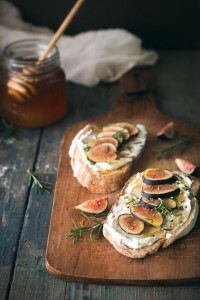 Her recipes never fail to make my mouth water! This page contains affiliate links, which means when you purchase a copy of the book, a portion of the proceeds goes directly to supporting this site. Your support literally puts food on my table and on the blog, so THANK YOU! I think my exact words the first time I tried a roasted beet were “I didn’t know this could taste so good” :) You have totally nailed how fun and exciting cooking can be, especially changing your mind or another’s about a healthy ingredient they thought they hated. I can’t wait for my husband to try your English Pea Soup recipe I think you’ll have another pea convert. Thanks, Brie! I hope he likes the soup — that one was definitely an “I didn’t know this could taste so good” moment for me! Thanks, Adina! Your recipes are beautiful! You are so right! It took going paleo for us to step outside of our comfort zones, and we’ve never looked back! We’ve tried and now love so many vegetables we never even had before, and they are so so tasty! Keep your fun stories and beautiful photos coming! Thank you! 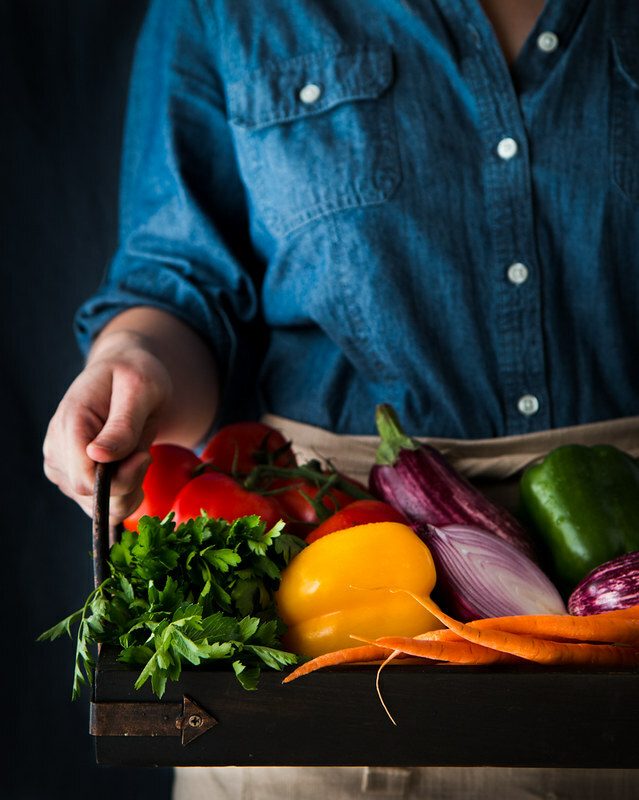 Paleo is a great way to get better acquainted with veggies, and is definitely a huge step outside of most people’s comfort zones. Congrats on sticking with it! Hi Willow! It’s so nice to meet another veggie lover through the cookbook. Thanks for the nice introduction. I am so inspired by everyone on The Casual Veggie. Can’t wait for the 19th. See you then! Thanks, Christine! It’s been wonderful meeting you as well. Your blog is so inspiring — I loved reading about your volunteer work on the farm! Willow, this is such exciting news! Congrats to you, girl: you’re amazing, as are your recipes. What an accomplishment! Can’t wait to see the book. Thanks, Shannon! I am so incredibly stoked for this book, I can’t even tell you… veggies GALORE. I’m already bookmarking recipes from it to try! Hi Willow! It’s been so great connecting with you through this cookbook. OH man do I love your style :-). Your recipes look so incredible. Cheers! Thanks, Leigh! I love your style, too — it’s been so wonderful getting to know everyone a little better! SO happy to be working on the Casual Veggie Cookbook with you! I apparently need to try roasted beets! The question is: can I get my kids to eat it?! I LOVE your photos by the way… nice to meet you as well! Can’t wait for The Casual Veggie to come out! It’s my favorite way to eat them! I can’t speak to what your kids will think of them, but I’m pretty sure I would’ve liked them as a kid if I’d had them that way. Another option they might like is beet chips — thinly sliced (a mandolin slicer helps BIG TIME), drizzled with olive oil and salt, and baked in a single layer until crispy. It’s tricky to do them right (i.e., crispy, not burnt), but once you get it right they are soooo good! Thank you so much, Liz! And same, I’m so glad to get to know you and be a part of this amazing book! Thanks, Tara! Wonderful to meet you, too! Haha! “noshed on au natural”, this is my favorite phrase of the day!! I’m so glad you’re a part of this cookbook!! Heheh, thanks, Mollie! So happy to be a part of it!